For $54, you can't beat a nice quality sweater to add into your Fall/Winter wardrobe. Pair it with leggings or denim, booties or tall boots. You can check out more great sweaters at amazing price points here. 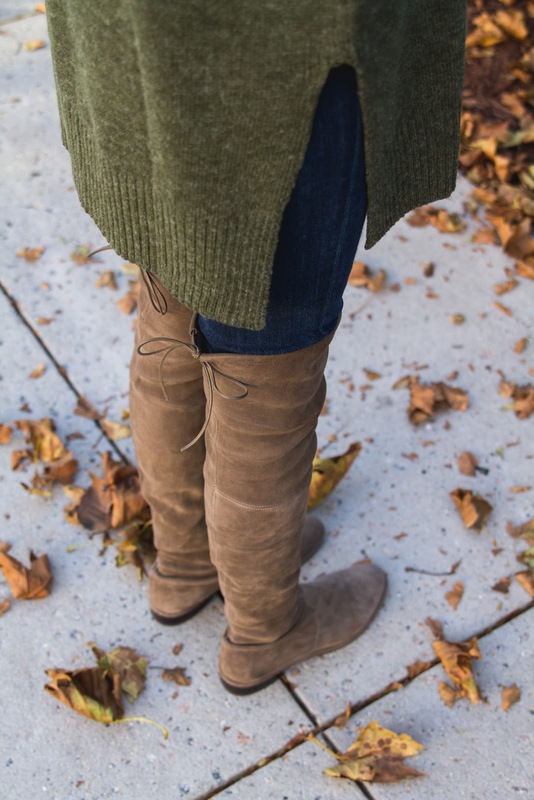 Boyfriend sweater, beanie and over the knee boots - the perfect universal outfit for cooler weather. 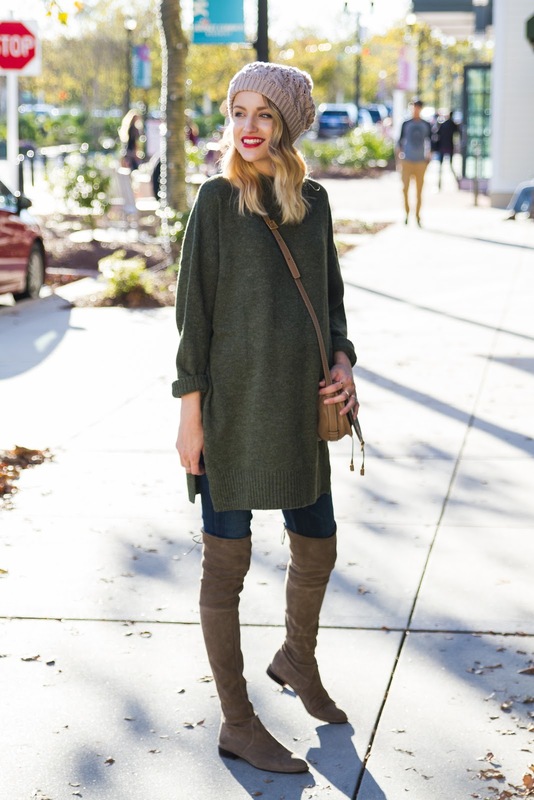 I'm obsessed with all things olive right now, and of course, oversized. I also LOVE the slit detail on this sweater! 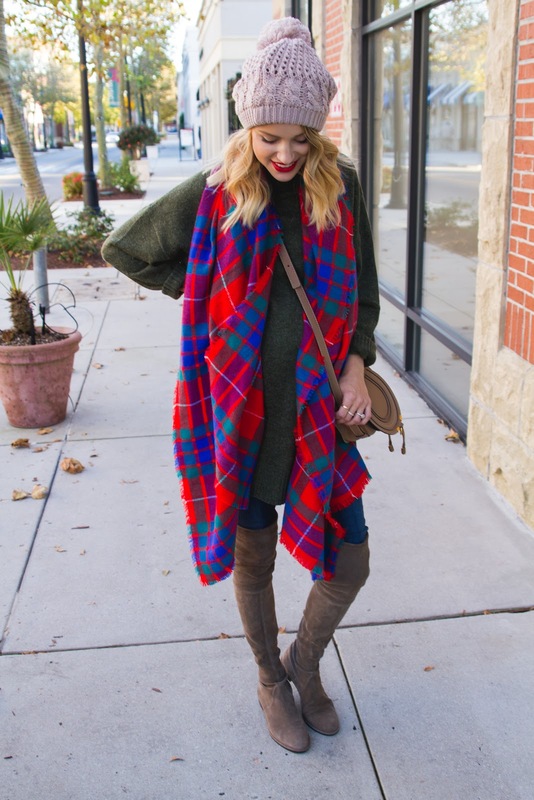 I just ordered this plaid blanket scarf (only $14!) and pre-ordered this one, I am stoked!